Once upon a time in a land far far away, there lived a super nice guy. This guy, we shall refer to him as "The Good Guy" Now this good guy was loved by all, women adored him, men wanted to be like him, children had respect for him. Roger Ebert once said, a movie is only as good as its villain. Perhaps he said that, I'm paraphrasing actually but there is a line of truth there. Good cannot exist without Evil. Today we are here to regale some other villains from our favorite timeline, the 1980's This week when Scott Compton and I did our podcast, we both had some of the best of the worst villains that we have grown to appreciate. But you will have to wait for the podcast to come out to hear those. 80's movies had some of the most memorable villains, I have to admit. And many television shows had them as well. Here is a list of some Honorable Mentions of villains that I have appreciated for their sheer bad bad ways. 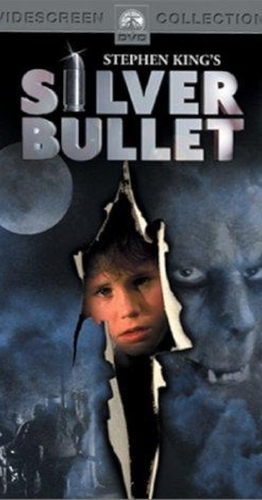 In 1985 there was a horror film called Silver Bullet based on the novella, Cycle of the Werewolf written by Stephen King. The villain in this film? A preacher of all people. The epitome of irony. I'm sure it wasn't his choice, he might have actually been bitten trying to help someone. Be that as it may, he definitely wasn't what you would call an "Atypical" heavy. Big props to Everett McGill for his amazing portrayal of good priest gone bad. Werewolves not your thing? I completely understand, but seeing as how these are not always available, how about an object that we interact with on a daily basis? Ever heard of a movie called House? Starring William Katt? who would ever suspect their own home to be the source of their ultimate destruction, but yet there you have it. 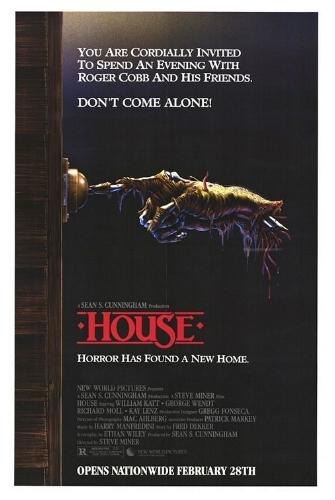 Yes yes, I know, Amityville Horror was based on the same premise, but House has humor! And you know what they say about those who can laugh in the face of danger. They die just as quick, but with a smile on their face. John Wood had a most auspicious and regal role as a Bishop in a 1985 movie entitled Ladyhawke, starring Matthew Broderick, Rutger Hauer and the lovely Michele Pfeiffer. My personal favorite of many early 80's movies that I would watch over and over. Another person in a position of power, misusing it for all the wrong reasons. He was ruthless and despicable, and unfortunately, he had the church's blessing behind him. Great movie, excellent villain. Last but not least, a movie that featured a villain at the beginning of the movie and then the villain became disposed of. Our heroes Richard and Larry, come to their boss's house for the long weekend only to discover that he is dead and THEN find out that their boss is actually a villain. I'm talking about Weekend at Bernie's. What a wonderful portrayal of a bad guy unwittingly become a dead guy so quickly in a movie, only to be drug around through the entire movie trying to make him look like he's not dead. You do know there is something horrendously wrong with that scenario right? Whatever! Great movie all the same. Terry Kiser plays an excellent villain, albeit very short "live" performance of Bernie Lomax (live, get it?) In this movie we get a twofer, the second villain was played by none other than the late Don Calfa as Paulie, the hit man hired to kill off Bernie and Bernie's two bumbling employees Richard and Larry. Posted on March 22, 2017 by Rosemarie Fullerton.